Game review: Would You Serve In Heaven? Or Rule In Hell?2017. June 08. Darksiders is a 2011 hack 'n slash, puzzler game developed by Vigil Studios and published by THQ. It tells the story of one of the Four Horsemen of the Council, War. Who is accused of the destruction of mankind. Heaven hunts him, Hell hates him. It's you who'll help him ride his way to redemption in an epic post-apocalyptic journey. Game review: Beyond Brilliance2017. February 20. Beyond Good & Evil is an open-world action-adventure game by Ubisoft. It was released back in 2003. But if you haven't played it yet, you're still not late. In fact, it's the best time to jump into the game since the sequel is on it's way. Game review: An Unknown Gem2016. October 20. Zeno Clash is developed and published by an indie studio called ACE Team, in 2009. It's a hybrid of beat'em up, fighting & FPS games; which makes it a very unique game, gameplay-wise. The art, level design, soundtrack is as perfect as an indie can possibly be. It's definitely a must-try for any gamer. Game review: Most Wanted! The Journey To Become #12016. September 22. EA Black Box created and EA Games published probably the best racing game ever created (surely the best racing game I ever played) on 15th November, 2005. This game doesn't need an introduction, let's get straight into the review. This game here NFS Most Wanted is THE best game in the whole series till now. The graphics are extraordinary, the gameplay is breath-taking, music is good, got a good story in a racing game! What more you need in a racing game?! WAIT the list hasn't finished yet. 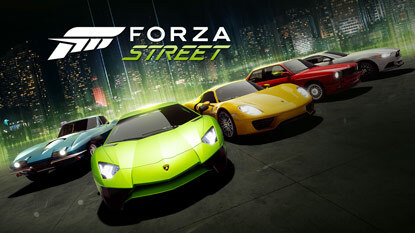 Heart beating police pursuits, gorgeous open world, extra difficult challenges for veteran players, all this action in highly detailed super fast cars like: BMW, Lamborghini, Porsche. These will make you fill like the MOST WANTED racer. Game review: Battle For Liberty2016. July 10. Freedom Fighters is a Third-Person Shooter game of 2003. It was developed by Io-Interactive & published by EA Games. Great story, great soundtrack & great gameplay makes Freedom Fighters a great game. Freedom fighters is one of the best third person shooting games out there. Graphics are not bad for 2003 and music is just fantastic. This game's music is composed by Jesper Kyd. He is music composer of 1st four Hitman games, 1st four Assassin's creed games, Borderlands etc. Gameplay is good and story even better. This game's greatness can't be expressed by words. Game review: A game that makes you feel like a warrior from the within2016. March 13. Prince of Persia: Warrior Within is the 2nd installment of the "Prince of Persia" series; a well-known third person fantasy action-adventure series of games by Ubisoft. This game continues the story of the previous game, Prince of Persia: The Sands of Time. Improved graphics, much improved combat mechanics, good story and music are the key features of this game. The second installment in the Prince of Persia series. The combat mechanism has been improved in this game. Prince can now perform some awesome sword moves. Slow-motion camera during the battles makes them more enjoyable. Graphics are also pretty good and rock n roll music is at it's best. A very good story on top of all of this makes this a very good game. Game review: Prince of Persia: The Sands of Time2016. February 04. Prince of Persia: The Sands of Time is a third person fantasy action-adventure game. It's the 1st installment of the widely known Prince of Persia series by Ubisoft. The game has good gameplay and a very good storyline. It's a very good game. Graphics, sounds, music, gameplay all are good. The story is very good. Sword fighting is not as good as Prince of Persia warrior within and The two thrones, still good enough. Booby traps looks a bit funny but still works well. Once in our lives, many of us wanted to put on the Batsuit and fight crime. So, this is our chance! If you are a batman fan then why are you waiting here?! Go and play it now!! It's as amazing as it gets... even for those who don't even know who Batman is. One of the best games of 2002. Awesome music work by Jesper Kyd. Graphics are also good according to that time. The story is bit complex but a good one. Game's optimization was quite good. Smooth, interesting and involving gameplay. Many creative ways to complete assignments. Overall a very nice game, especially for stealth lovers. It's a turn-based or time-based strategy game (whichever the player wants to play), in which the player plays as an immortal and powerful wizard. Player can play as the wizard he desires. Taking control of the cities that the wizard had and his army. You goal is to defeat your enemy wizard by sending him/her to the great void. The game has good graphics for 2002's standards and very few but good soundtracks. Gameplay is nice. Overall a good strategy game. It's the sequel to the Project I.G.I. I'm going in. A good stealth type first person shooter. Graphics are much better than of the first part. In-game save feature have been added, which is a big plus point. Story is good and thrilling. It's a good cricket game to play. Graphics are not bad but gameplay is impressive. Both batting and bowling mechanics are good. The pre-match toss function is really good, making of third umpire's decision showing screen is also cool and the ball tracker in LBW appeal is fantastic. This game has really good graphics for it's time. Gameplay is addictive with a complex and mysterious but good storyline. You will feel the pain of Max Payne's life in this action-packed, thrilling third person shooter. This the best game I have ever played. Graphics are way too good for 1998. Gameplay is very immersive and once you start playing you just can't stop before finishing it. After finishing it you will not be able to help yourself from finishing it again. It is really hard to believe that one of the "BEST GAMES EVER" has released before I born. Just give it a try and you will understand what I am talking about. Good first person shooter game. Well optimized. Graphics are good. D-Day landing recreation is very good. Gameplay is smooth. Very good second world-war game and overall a good FPS game to play.